Dr. Kette Thomas, Assistant Professor in Michigan Tech’s Department of Humanities, will discuss restavec, an informal institution of child labor in Haiti. Restavec is complex system that relies on collective agreement, myth, and both political and social representation. 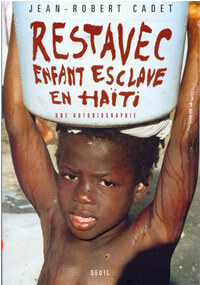 In his autobiography, which focuses on restavec, Jean Robert Cadet’s describes restavec as follows: "Restavec are slave children who belong to well-to-do families. They receive no pay and are kept out of school. . . . The [rich] promise poor families in faraway villages who have too many mouths to feed a better life for their children. Once acquired, these children lose all contact with their families and, like slaves of the past, are . . . [made to] do the jobs that the hired domestics . . . will not do." Dr. Thomas's talk will focus on the tenets and complications of the restavec system. Dr. Thomas recently completed her Ph.D. in Comparative Literature at Stony Brook University. Her work centers on questions of identity, agency, and language. She places special emphasis on religion, myth, folklore, autobiography, film, creative essays and the novel. She recently published a scholarly article on the Zombie myth and the Biblical figure of Lazarus. Her current research focuses on rhetorical and representational functions of human rights violations, as in the restavec system. For more information on restavec, visit the Jean R. Cadet Restavec Foundation Website.